At first glance, it’s easy to fall for Dear Survivor. The San Diego-based jewelry label has a poetic point-of-view. Clean, crisp and modern earrings and necklaces in a neutral color story is the current makeup of the brand. 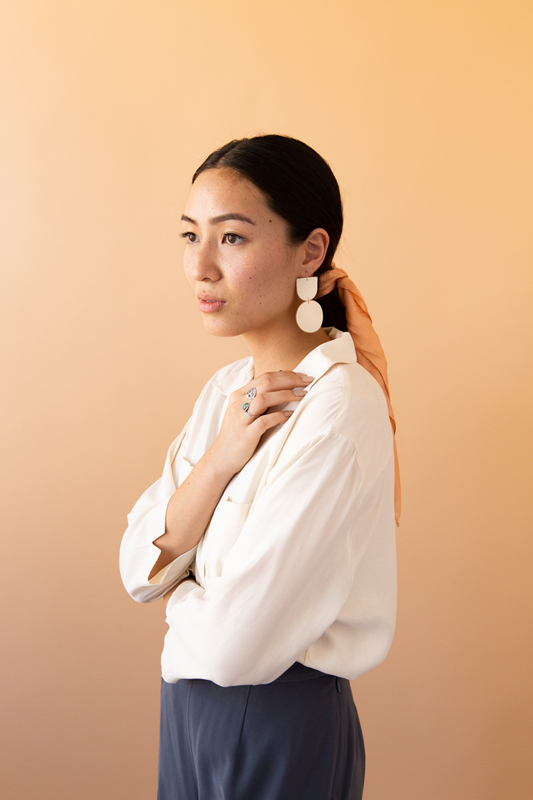 Inspired by the landscape of the Southern California high desert, there’s minimal shapes, bold impact and geological wonders like their thoughtfully sourced cluster earrings. 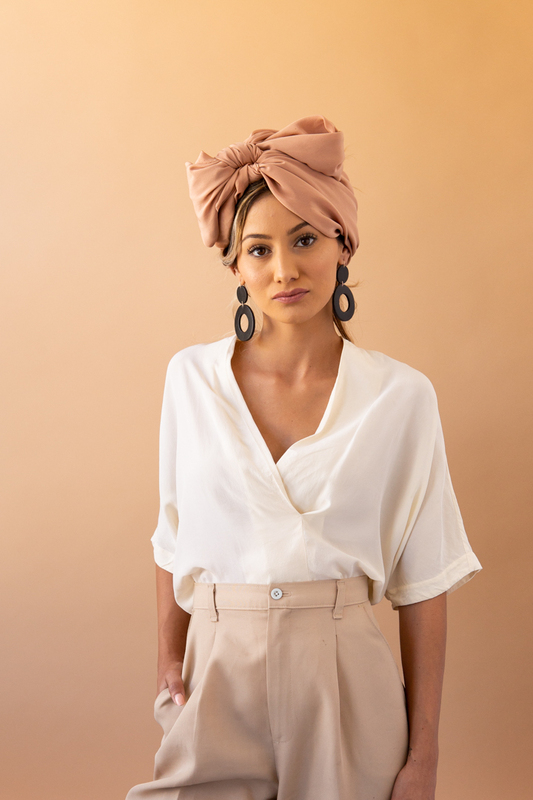 Dig a little deeper and you’ll learn that founder Christine Longoria who has myriad of diverse skills including sculpture, PR and work as a leather seamstress led her to create a socially driven, sustainable company that pays it forward. Her sourcing and production is conscious. She works with manufactures in Los Angeles to source leather remnants that would normally make its way to a landfill. Her soft goods are designed to maximize surface area and minimize waste while her cluster earrings are sourced from US miners with whom she has a relationship with and knows that they receive a fair wage. The meaning behind the name? It comes from a life-changing time when she lived next to a brothel while in college and got a glimpse into the world of human trafficking. She realized that there was so much work to be done, and to help impact this social injustice, Dear Survivor became her answer. Humbly disclosed to us, she has been able to donate over $20,000 to Generate Hope, an organization that helps women recover and build their lives after trafficking. Next up. More conscious jewelry, alternative materials and continued accessibility for both design enthusiasts and all types of survivors. My desire is for customers to fall in love with my designs, but get hooked when they hear the mission and ethics of the brand. I want them to feel both stylish and proud of their purchase. Learn more at Dear Survivor.